To raise awareness of the risks and dangers of drink-driving. To provide an alternative means of getting home. The “Don´t Drink and Drive” campaign started during the 2013 RESPONSIB’ALL DAY events in Germany, when a branded shuttle service at selected events was established and impromptu actions took place at student parties to inform them about the risks of drink-driving not only by car but also by bike. 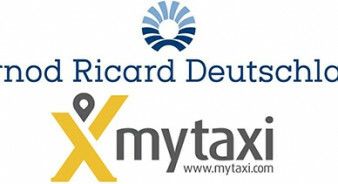 In 2014, cooperation with myTaxi (phone app that enables users to order and pay for taxis) was established and a variety of branded materials to raise awareness were developed. Also, at selected events 10€ myTaxi vouchers were handed out, including at the PSI (International Network of the Promotional Product Industry) Trade Show. Visitors received a myTaxi voucher at the Havana Club Bar and mineral water was provided free of charge. In 2016, a “Don't drink and drive” shuttle was provided for 3,500 guests at a brand side event during the Internorga (Europe’s leading trade show for food service and hospitality). The initiative is not only aimed at motor vehicle drivers, cyclists are also targeted as the number of alcohol-related accidents for cyclists has steadily increased in recent years. Since launch: Around 10,000 people (including 4,000 students) have been reached. Almost 5,500 people have been shuttled at selected events. About 16,000 people reached at fairs (as of December 2016).